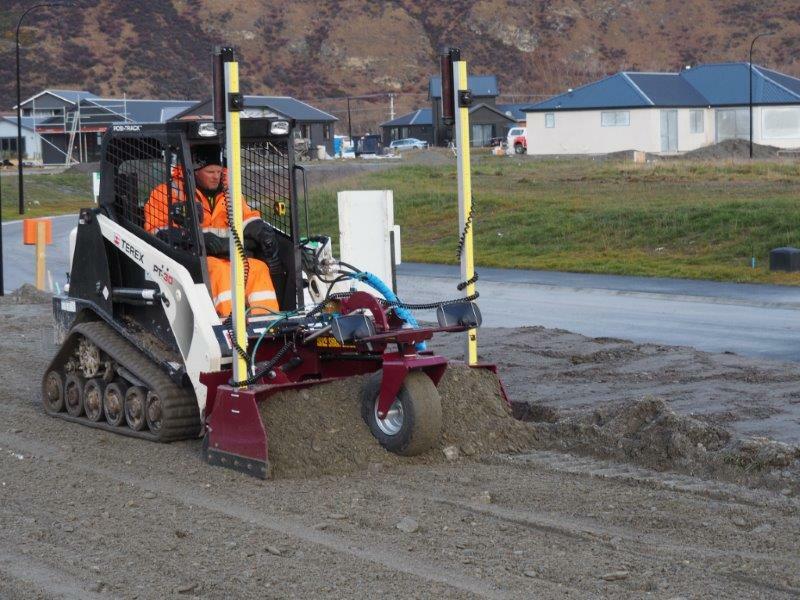 Get the performance of a larger grading machine right from the seat of your skidsteer loader and take advantage of your loader's inherent manoeuvrability to level ground with unparalleled ease and efficiency. The SharpGrade Junior enables you to accurately level to within 3mm (less than 1/10"). 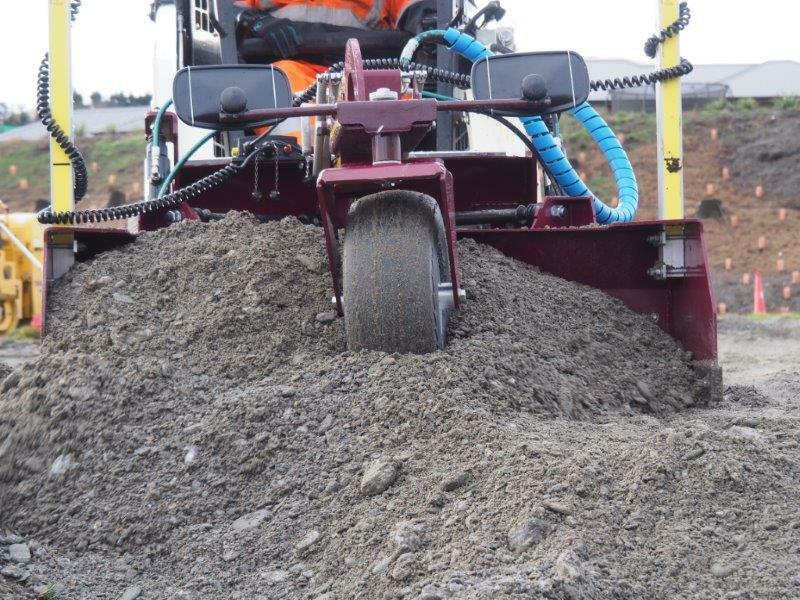 Using a SharpGrade Compact is up to ten times faster than levelling using a skidsteer with standard bucket attachment. 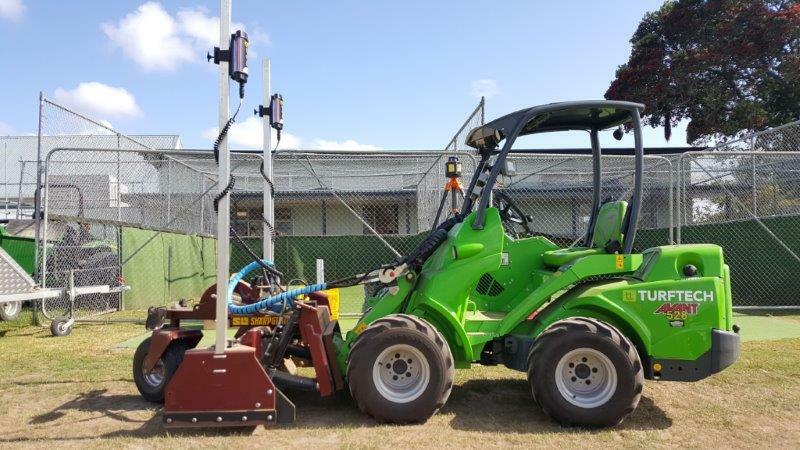 An optional Leica Total Station or dual GNSS system allows you to easily grade complex contours with several gradients, diverging offset crown and different cambers directly from the control of the SharpGrade. The SharpGrade Leveller enables you to accurately level, to within 2mm, large areas or small tight spaces with ease and efficiency. 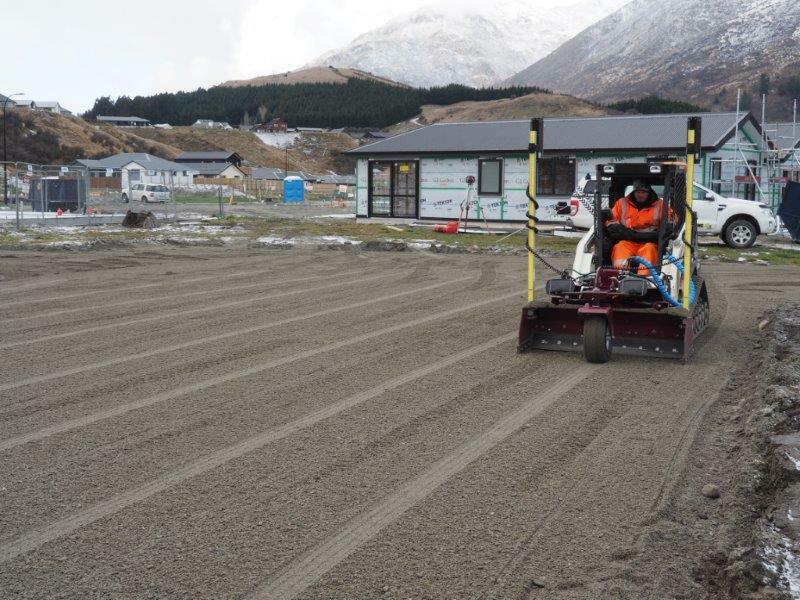 Fit with dual or single axis laser levelling capability to ensure your levelling stays millimetre perfect over the whole job. Features such as knife edge side shields and retracting wheel allow you to accurately trim right up to edges and get into tight corners. Large mirrors let you see exactly what's happening on the whole front blade, eliminating blind spots. Designed specifically to work on skidsteer loaders or articulated wheel loaders the SharpGrade Junior works in forward and reverse for optimal efficiency. Twin pivoting blades give the ability to cut, carry, trim, spread and finish in one pass, in either direction, for speed and control. 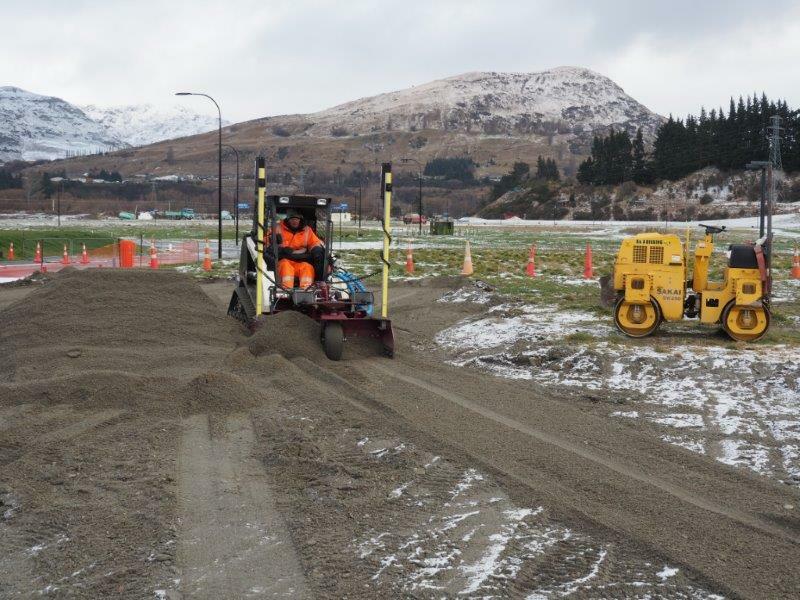 Operated from your machine's hydraulic system, in-cab adjustments are a breeze and levelling is up to ten times faster than levelling using a skidsteer and standard bucket attachment. The SharpGrade Leveller is quick and easy to attach to your machine. 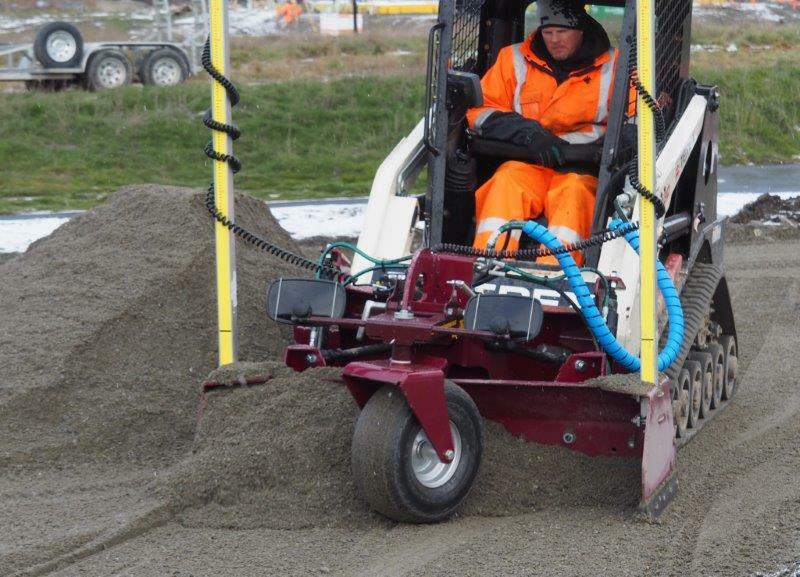 No tools required, simply clip the unit into place and attach the hoses and you're ready to start work. 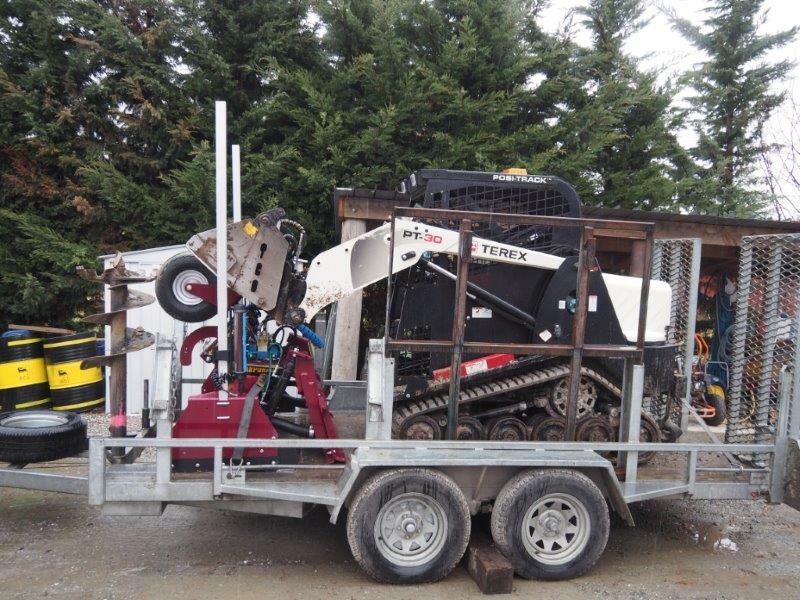 There are multiple connection options that easily bolt on to match the Junior to a range of smaller machnes such as Avant, Giant, Terex and Toro. Designed and built with longevity in mind, the leveller features induction hardened pins, self-lubricated bushes and dirt seals in all moving joints, so it won’t let you down when time equals money. The patent pending sealed QuadRod system keeps the blade rigid and accurate at all times, with low maintenance. Simple hydraulic valves with built in relief protects the system from overload. Valves feature manual override capability to allow easy diagnosis if there is ever a problem. Greased for life, low maintenance design. Induction hardened pins, permanantly sealed, self-lubricated bushes and dirt seals in all moving joints provide a long low maintenance life. Unique QuadRod Linkage. Patent pending QuadRod system gives unparallelled rigidity, allowing use on 100+ HP machines. With only 4 arms, the outboard cylinders are directly connected to the outer edges of the blade, achieving the ultimate in accuracy. All joints are lifetime sealed, lubricated and maintenance free, with no greasing required. Single retracting wheel: Offer the ultimate in compact grading, get up close to walls, curbs, foundations or use as a bulldozer, while providing the shortest transport length in class. The single front wheel lets you grade between services without damage. Twin parabolic mirrors: See the front blade and both fro.nt wing tips for confident grading in confined areas, along walls, curbs or foundations. Graduated laser poles: Quick, easy set up of laser receivers with our built in measuring tapes on our laser poles. Available in metric and imperial dimensioning, no tape measure required. Removable laser poles: quickly change from long to short poles for indoor work or working in height restricted areas. No tools required. Electric retracting front wheel: Retract the wheel from the seat of your machine: ideal for confined sites. Leica MD40 adjustable grade height receivers: Electronically adjust the grade height 2mm (1/10") at a time without laving your seat. Increased receiver range means you stay on grade longer. Leica Trisonic system: Reads a string line, curb lip, or the ground for grades not possible to achieve with a laser. Plugs directly in and reads off the control panel. Height and slope adjustable from cab. "The rigidity, visibility and fast response time are great. After running level Bests for 6 years the SharpGrade is on the next level. 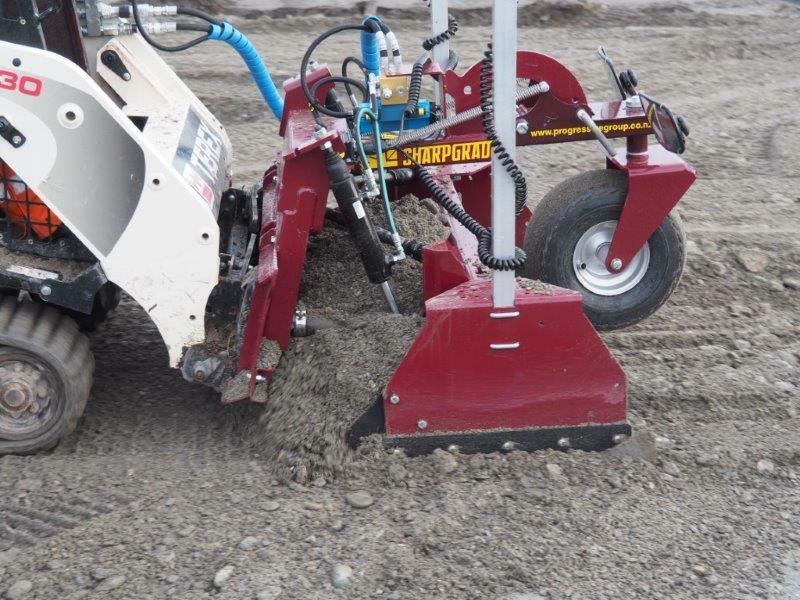 The SharpGrade is slick"
"Since we upgraded to a 3DTPS SharpGrade 18 months ago our motor grader seldom leaves the yard. The SharpGrade has significantly increased our finishng speed and accuracy"
"The speed and accuracy of my sharpGrade is amazing. I can consistantly trim and level 20,000 feet in an afternoon within 2/10". Previously it took 2 guys 2 days to get less than half this accurate".